Jeremy Powers’s Aspire Racing team will cease to exist after the 2018 UCI cyclocross world championships. Jeremy Powers’s Aspire Racing team will cease to exist after the 2018 UCI cyclocross world championships, which take place in Valkenburg, the Netherlands, in early February. “After worlds, the team as it is currently known and with the sponsors that it has, will stop,” Powers said. According to Powers, several of his personal sponsorships ended and did not renew for 2018, which put the team’s overall budget below what was needed to continue the team. Initially headlined solely by Powers, Aspire Racing began as a team of one for the 2014-’15 season with title sponsors Rapha and Focus. The following season it grew to be a two-member squad, when Ellen Noble joined. This season, Spencer Petrov became the third member. According to Benjamin, Rapha and Powers had mutually decided not to continue their partnership into the 2018-’19 season, though the brand will continue to explore ways in which it can invest in the U.S. cycling and racing scene. The relationship between Focus and Powers lasted nearly as long, and helped put the brand on the map in North America, according to Focus’s marketing manager for North America, Andreas Krajewski. More importantly, he said, Aspire Racing and the JAM Fund helped the sport of cyclocross to grow in general. 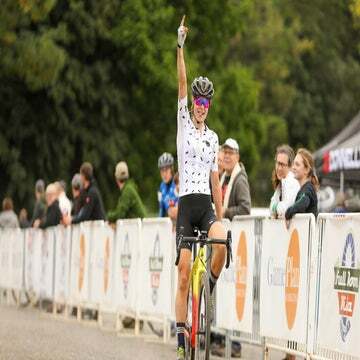 Aspire Racing garnered an enviable list of results in its short existence: Powers won the national championship in 2015 and 2016; Noble became the first U23 woman to wear the leader’s jersey in the World Cup series, finished fifth overall in the elite women’s field in 2016, and finished second at Reno nationals last month; Petrov turned heads this year at several UCI races, racing at the head of the elite field at the age of 19. What the team’s closure means for Powers is still an unknown. Of the team’s successes over its four-season history, Powers feels pride, especially in the way it has aided Noble and Petrov to boost their careers. “I don’t use this word lightly — I’m very proud of this team. I think it helped launch Ellen and I think it helped bring a lot of attention to Spencer. It gave them incredible depth,” Powers said. Last season, Powers struggled to repeat the successes of previous seasons after suffering a debilitating rib injury that hampered his performances. This year, a heart arrhythmia issue surfaced at several races. 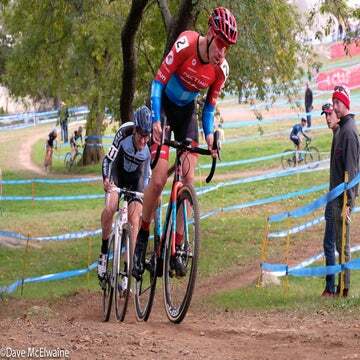 He finished second at the recent USA Cycling national championships in Reno, Nevada, to Stephen Hyde. Now a lack of sponsorship dollars makes his future unknown. Faced with the prospect of ending his career, Powers remained philosophical.